Really good PSD files are useful most especially for web and graphic designers who do not have a lot of time in designing their own. These free files help in the process of creating beautiful web layouts and other graphic design projects. If you are one of those who are searching for some creative resources in PSD files then this post is for you. 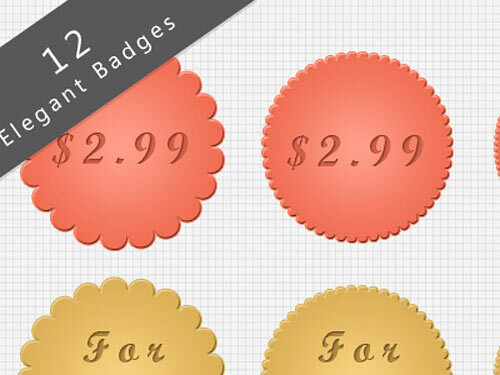 Today, we have collected several badges available in PSD formats. These freebies consist of various styles and colors which you can incorporate in your web pages to attract the attention of your visitors. 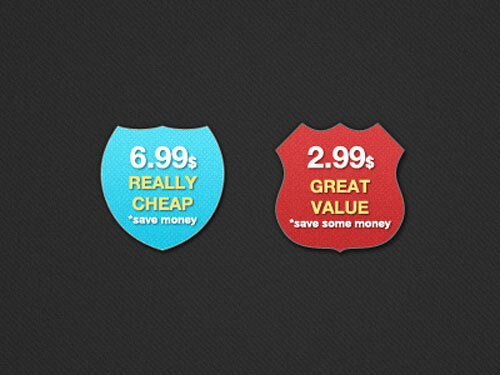 Badges are used to display pricing, special announcements and advertising as well. Most of the colors and text of these badges are easily editable and scalable, that is why you can find a lot of the featured badges on the list that you can modify to suit your needs. 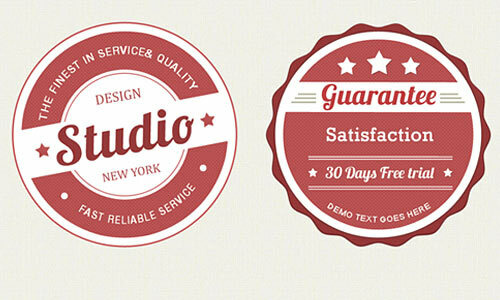 These psd badges are also designed in high resolution. 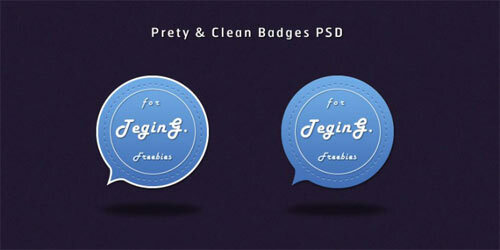 Here are the 25 Awesome PSD Badges for Free. Take a look at this collection right now and do not hesitate to download each of them and add in your graphic library. It will only take a few seconds for you to download these psd badges so head straight to the download section right now. Always read the license terms of each badge before downloading to avoid problems in the future. Have fun browsing! 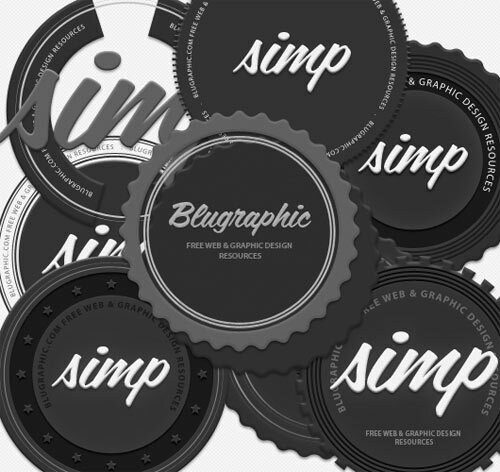 First of the list is a pack of eight dark gray vintage badge templates in PSD format. It can be customized in Photoshop and could be used for creating logos, signs & more. Each of these round badges has their own style and the layers are separately organized for easy editing. This next template is perfect for those who have high quality products. 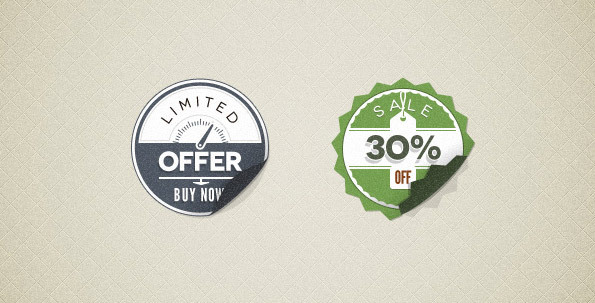 This pack contains 3 variously designed badges that are fully editable from the fonts to the shapes and details. You can grab these high-resolution templates in PSD format and can use them for your personal or commercial designs. 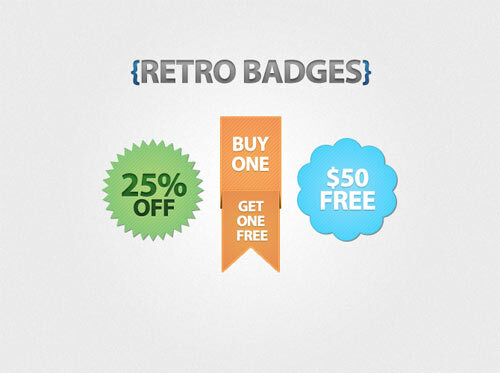 For this next set, you can get 10 vintage-inspired badges in 10 unique shapes and styles. 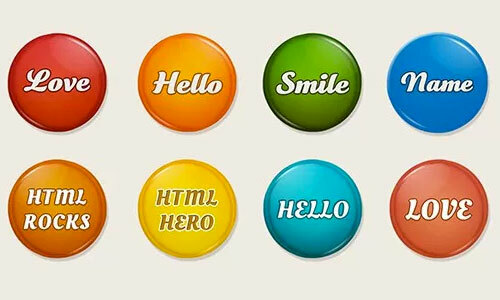 These attention-catching badges are can be used as effective promotional elements on your website. Other than that, you can also make other use of these badges depending on your needs and wants, edit them to your own preferences through Photoshop. Our next freebie feature is a single badge template of a simple and clean round badge that is also customizable in Photoshop. You can edit each elements of this badge from its fonts, to its shapes. 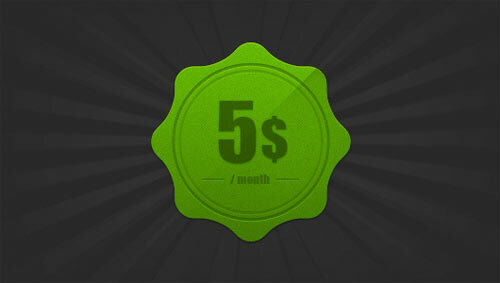 Here is a green badge template in PSD format. This freebie is fully editable and can be modified according to the designer’s preferences. It may be used for promotional purposes on sales/discounts, for announcements, and in anyway you need it to be. 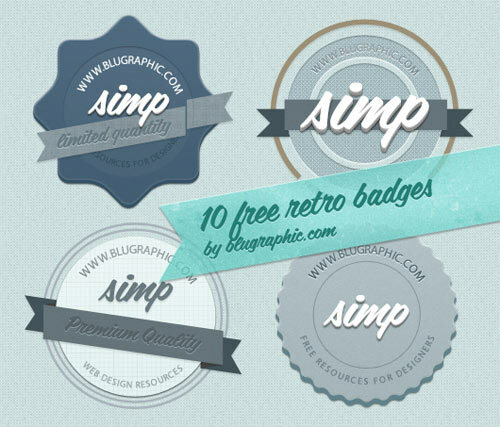 This next freebie includes 4 templates of beautifully designed badges that have a touch of retro. You can have all the four badges in one download of the PSD file. You can edit each element of the badges to your satisfaction and do it easily with the layers well organized in Photoshop. 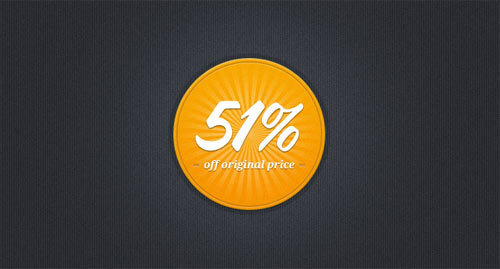 Here you have a single badge PSD template that also has a retro-style design. 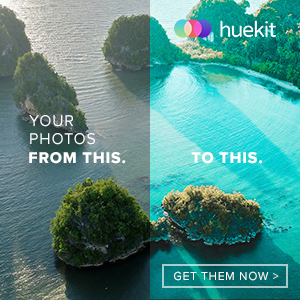 This badge cam be downloaded in high resolution and can be edited and used as announcements for discounts, sales, and more. Next in the list is another single badge template that incorporates a bright design for a fun and attention-grabbing appearance. Web and graphic designers can modify this to match their design’s theme and use it to any of their personal or commercial projects. 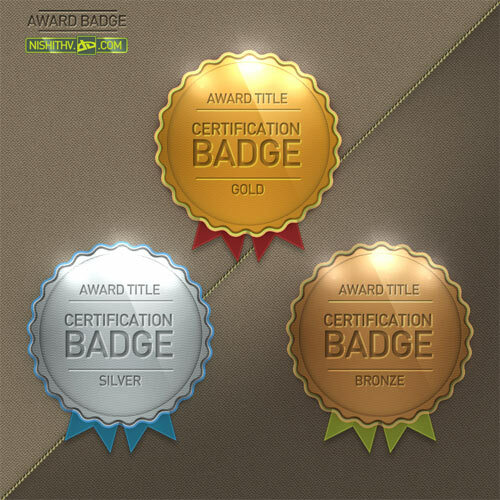 This set contains 3 medium badge templates (bronze, silver, and gold award ribbons) and 1 big gold award ribbon – all editable in Photoshop. They are also free to be used in your personal or commercial projects; may it be graphic design or for a website. This next one is a set of two good-looking badges: 1 ribbon badge and 1 seal badge. All the shapes are in vector so designers can easily edit everything – from fonts, colors, to the basic shapes. Here is a PSD template of a clean and white badge with ribbon. 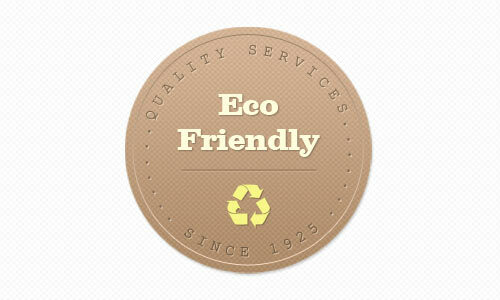 This badge design gives an elegant appearance to it, giving a more trustworthy feeling. It is 100% customizable and can be used for promos (sales/discounts), product showcases, or anything you can think of. Next is a simple yet effective badge design that can be downloaded in PSD format. You can add your text or logo at the middle and use this template on any personal or commercial design projects that you see fit. Here we have a set of six badge templates that are uniquely designed from each other. In this freebie, you will download the PSD format where basic shapes are in vector for designers to easily adjust the sizes without hurting the quality. Moreover, you can also edit the other elements such as colors, fonts, and patterns to your own preferences. This next one is a set of 2 simple badges in blue and red colors. You can edit these badges through the free-to-download PSD format where the layers are well organized and grouped for your easy navigation. 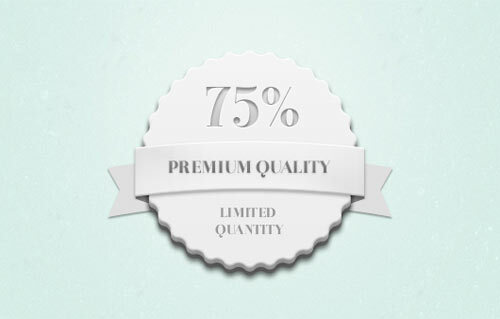 A badge template that portrays premium vintage-inspired design, but still gives it to you for free. This set includes 2 badges that are fully editable in Photoshop and organized well for designers’ easy navigation and editing. For this set, it’s all about Christmas! 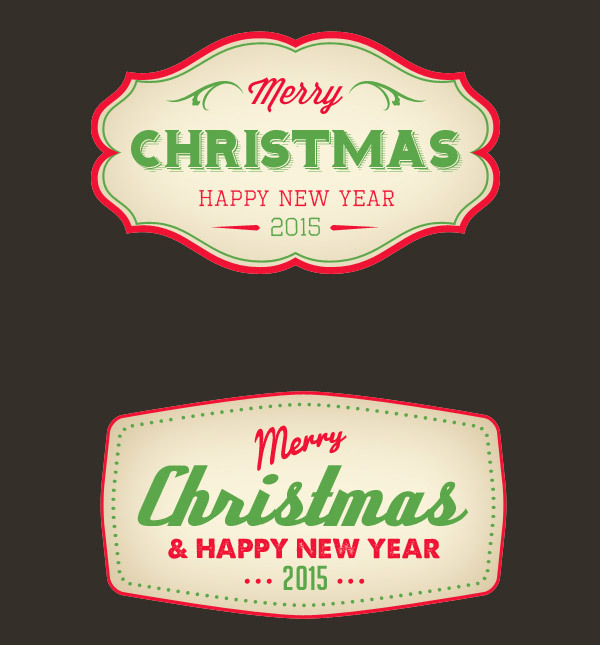 Here you get a present of 2 Christmas-themed badges that you can download PSD format. 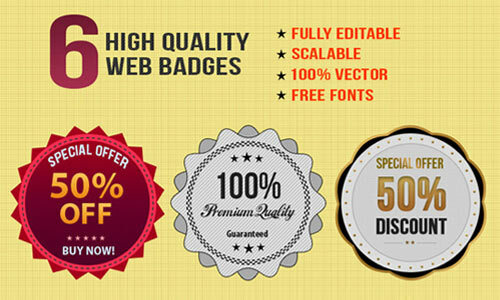 The badges are in vector shapes and their layers are well organized for you to edit them with ease. Also, they are in transparent background. Next is another duo badge template that is available and editable in PSD format. The pack contains a framed and unframed version of the “stitched” badge design. You can edit the size, color gradient, and font to your own liking. This next pack is inclusive of 24 uniquely designed badges, each displaying different personas. They all come in PSD format and can be edited to anything you want. To edit each badges, you need to double-click the thumbnail of their respective layer to access the independent layers. Basically, this is a set of badges with two designs and two color variation, totaling to 4 badge templates that you can modify and use them for your personal and commercial design projects. Here is another cool batch of simple yet attractive badge designs that you can download and use for free. This PSD format will let you edit every element in these 3 vector badges from the texts, sizes, to colors – anything that your imagination wants to see. 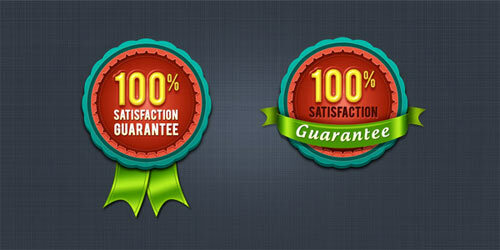 This next set includes 4 badge templates that are downloadable in this high-resolution PSD format. Theses badges are made of 100% vector shape layers, meaning you can set any size for them without losing their quality. Best of all, they can be used for any personal or commercial projects of yours. 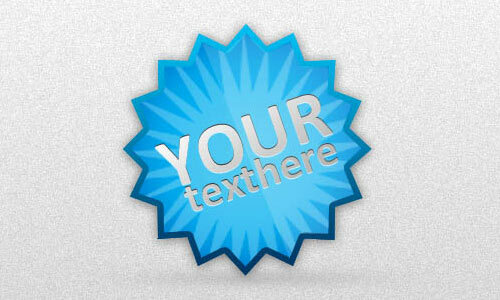 This badge template is also 100% customizable in Photoshop with the layers in vector shapes, including the texts. Also, you can utilize this free template on any of your personal or commercial designs. 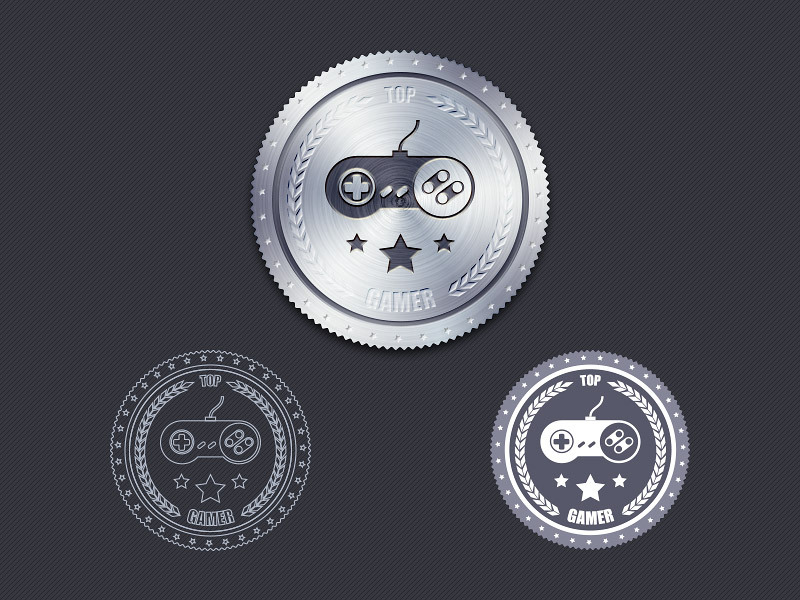 Here is a set containing a badge template having 3 different versions: one in outline, colored, and metallic. 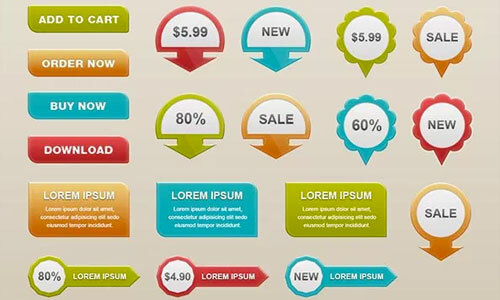 Everything are in vector smart object that will let you change sizes without the hassle of losing quality. This set includes 8 lovely badges that have unique vintage designs. They come with beautiful details and textures that will surely be useful to your projects. Speaking of projects, these badges can be used for any of your personal or commercial design projects. Last but not least, a set of badge templates containing 4 badges with 3 variations of colors and designs, totaling to 12 individual badges. Though the layers are not in vector, you can still edit the badges’ color to anything you desire. There you go! 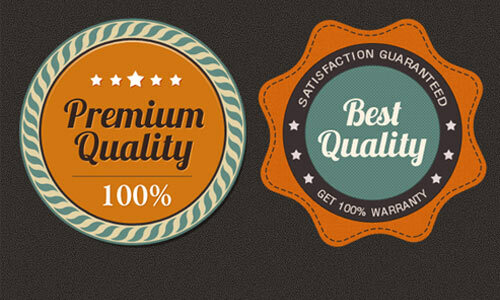 Some of the best badge templates in PSD format that we have gathered just for you. Which ones made a good impression to you? all are awesome badges i love them thanks for sharing..
can i add on my site these badges?? Great collection of easily downloadble badges. Super, Thanks!